Whether a short term/one-off consultancy commission or long-term contract support, Right Results Project Management can provide independent professional, competent & flexible support for your business. Located in north Oxfordshire, with local knowledge and a network for design support, property advice, commercial support and risk management, Right Results Project Management is ideally suited to projects in the Midlands along and either side of the M40 corridor down to north London. 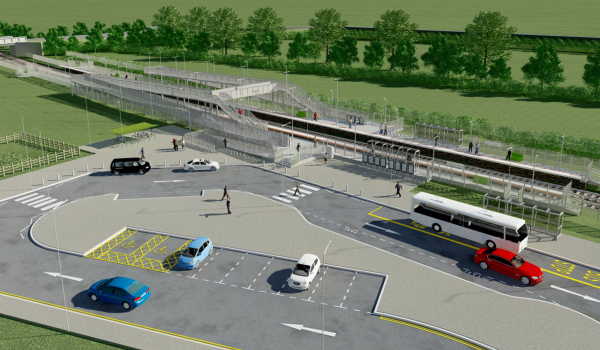 New rail station development, station and facility enhancements & refurbishments, station car park extensions, multi-modal interchange improvements, operational changes and projects interfacing with the railway. Right Results Project Management is Link-up approved for Project & Programme Management. Waste and clean water treatment plants, sludge drying plants, materials handling, odour control, civil structures, control systems, building services and Utility connections. Experience covers design and build and refurbishment projects. Business and office relocations, satellite office establishment, company re-organisations, staff facility enhancements and temporary accommodation set up. Previous scopes of work include premises identification, Building Regulation applications, fit-outs and arrangement of all required services and supplies. Right Results Project Management works in partnership with clients to assist in the delivery of strategic high profile and complex change projects. We aspire to save you time by providing additional competent resource, co-ordinate work in a structured manner to avoid abortive work, manage risks to prevent unforeseen shocks on programme and budget and procure the right services at the appropriate time. In these challenging times, business growth remains essential. Growth, however, means change. If you are resource-constrained or have a skill shortage, Right Results Project Management Ltd can help you manage effective change. We have over 22 years experience delivering various projects across all life-cycle stages in different sectors including civil, mechanical & electrical infrastructure works. Our mission is to always deliver competent project management through experience, use of proven techniques, clearly understanding your requirements, building strong relationships and determination. As a small company we can operate more flexibly and competitively than our larger competitors. This means we can give your project individual hands-on care and focused attention. Right Results Project Management Ltd is Link-Up approved and has insurance in place for Professional indemnity and Public Liability. Director; Mark Cockerill is a Chartered Mechanical Engineer and qualified Project Management practitioner and in 2015 celebrates 22 years experience of delivering projects. Experience has been gained over a multitude of projects in different sectors, always with constraints of time, budget, supply chain and stakeholders. Please see both the Service sub-menus, for a list of some projects undertaken, and the Case Studies page. Not all projects require a full time Project Manager and that is where Right Results Project Management Ltd can really add value to your business. Support can be provided only when and where you require it. Support can be provided for complete ‘cradle to grave’ projects, specific project stages, certain aspects of a project, project health checks or guidance on recommended tools and procedures to add value. Right Results Project Management Ltd.